One-time, exclusive train set for the 100th anniversary of the electrification of the Engadin line Bever – Scuol – Tarasp. This line was operated electrically right from the start. The class Ge 2/4 with the road number 201 reproduced in the set is moreover the oldest electric locomotive on the Rhaetian Railroad (RhB). The richly equipped set comprises a freight train with passenger service (GmP) and consists of: 1 each class Ge 2/4 electric locomotive in an exclusive special edition, 1 each 2-axle passenger car, car number C 2001, 1 each high side gondola, car number L3 6664, 1 each low side car, car number M1 7349, loaded with a real wooden cable drum on a real wooden load frame, and an unloaded low side car, car number M1 7321. Also included in the set is a numbered certificate of authenticity and a replica of the builder’s plate for the locomotive. 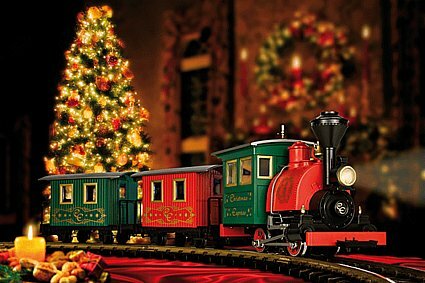 The locomotive and cars have extensive, prototypical paint schemes and lettering. 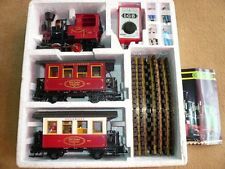 The locomotive has two powerful motors and a DCC connector, interior details, and doors that can be opened. The cars have metal spoked wheels. These models are not available separately. Total length over the buffers 190 cm / 74-13/16″. 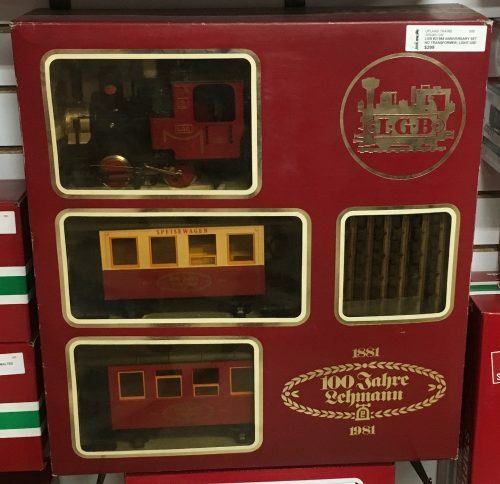 This train set is being produced in a one-time series only in the anniversary year of the Engadin line Bever – Scuol – Tarasp.